It’s because I’ve allowed my experiences over the last few years to pigeon-holed me into a slot that has now become my prison. Has that ever happened to you? Have you ever been to that place where you’re so focused on getting through the motions that you’ve lost most if not all of your curiosity? 1. Temperance – There’s something so very somber about that word but it’s one of my desires. I want to be one of those persons who is good at holding their tongue (something I still struggle with). To say that God has taken me a long way is an understatement but I continue to aim for Paul-esque self-restraint. The good thing is that God is not partial so just as he gave the ability to Paul I know he will give it to me as long as I continue to trust him. 2. How to ride a bicycle – How I survived so many years on this earth without learning that skill is beyond me. My excuse is that I’m a city girl and it just never seemed like something to do especially when there were so many books to be read. Now I’ll be very honest and tell you that my husband tried teaching me a couple of years ago but I was so worried about falling and breaking a bone and being in pain for the next several weeks that I was unable to really appreciate the lesson. Anyone who has a big set of training wheels that they don’t mind shipping to Montego Bay Jamaica just send me an email (smile). 3. 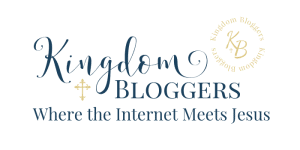 How to write for an audience of one (one reader, one God) - Blogging is hard! There are some days when I wonder if the time and effort is worth it and then I remember: it’s not about me. Writing is my ministry to him. I write because God gave me this gift to share with the world … a gift that I’m destined to use to speak about him because I love him and I can’t do otherwise. 4. A new word each day – wouldn’t it be fun to learn words that you never even knew existed? Words like coreopsi (which is a plant with daisy-like flowers) and fascicle (an instalment of a book or a bundle or tract). Now I admit I looked up both those words but wouldn’t it be cool to just know them? 5. To not worry – Wouldn’t it be nice to depend on Christ for everything? To not have to worry about what we’re going to eat or wear or drink? To be able to cast all our cares aside because we know that Jesus has them and they’re in very good hands? Bonus! Bible Art Journalling – (What can I say? Now that I’ve started I can’t stop!) I journal in my Bible but typically it’s limited to scribblings in the margins. I really want to learn how to illustrate Bible verses and lessons so that it's not only meaningful to me spiritually but it's also beautiful to look at. So now that I’ve written this post, I have five –erm, six - things that I need to learn, yeah! What’s your five? If you had to make a list with five things you wanted to learn, what would be on it? Use the comments below to tell us your five! Then jump over to Mrs Disciple to read more Friday fives.